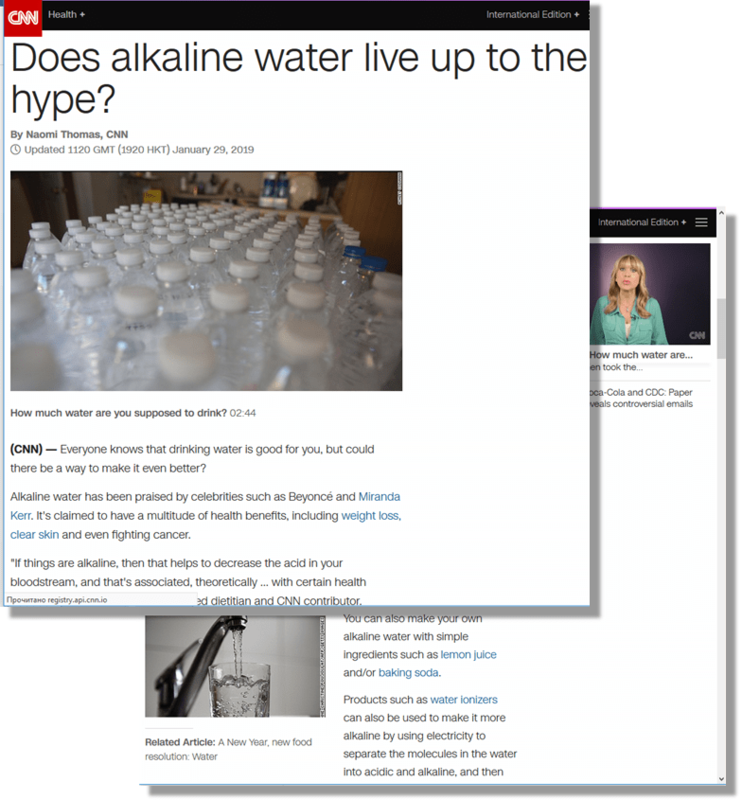 Lisa Drayer > Lisa’s Beauty Bites® > Press > CNN.com: Does alkaline water live up to the hype? CNN.com: Does alkaline water live up to the hype? Alkaline water has been praised by celebrities such as Beyoncé and Miranda Kerr. It’s claimed to have a multitude of health benefits, including weight loss, clear skin and even fighting cancer. “If things are alkaline, then that helps to decrease the acid in your bloodstream, and that’s associated, theoretically … with certain health benefits,” said Lisa Drayer, a registered dietitian and CNN contributor.